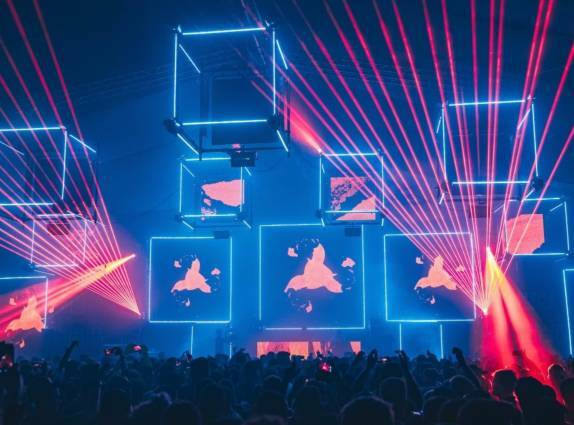 Snowbombing has revealed the latest raft of acts for next year's 20th anniversary of 'The Worlds Greatest Show on Snow' to join the likes of The Prodigy, Stormzy and Fatboy Slim. Snowbombing 2019 takes place from Tuesday 8th Sunday 13th April, in the Austrian ski resort of Mayrhofen. The festival attracts some of the most exciting names in modern dance, bringing beats and big moments at every step, performing in some of the most unique stages on the planet. The latest additions include the likes of Camelphat, George Fitzgerald, Sub Focus, High Contrast, Mall Grab, Fabio & Grooverider, Moxie, Horse Meat Disco, Flava D, and Emerald. Fresh from the critically acclaimed second album All That Must Be’ George FitzGerald will bring a combination of singalongs and crystal clear grooves to Mayrhofen. Snowbombing favourites High Contrast will make a welcome return. Grammy-nominated duo Camelphat are set to take the festival by storm. Snowbombing provides the chance to party in unique locations including the Forest Stage, The Racket Club, the special Arctic Discos and more, not to mention the Spas & Saunas, Paragliding, Chairlift Speed-Dating, Cable Car-aoke, Alpine Yoga, Cable Car Raves, Ride & Seek, an award-winning Snow Park, Bongo’s Bingo and The Snolympics. Visitors can eat authentic Austrian cuisine in the well-known, delicious restaurants or see the incredible sights of Mayrhofen from the skies whilst trying paragliding, all with the opportunity to stay in incredible accommodation! From 5* spa luxury hotels with rooftop jacuzzis, chalets, pensions and apartments in the heart of central Mayrhofen, to pocket-friendly, self-catered apartments and cheaper options in the surrounding Zillertal Valley, Snowbombing has something for everyone. Serious skiers and beginner boarders alike are all encouraged to hit the slopes, with 650km of piste and the 78° gradients of Austria’s steepest slope The Harikiri (the steepest slope in Europe) is on hand for those feeling adventurous, plus lessons and plenty of beginner-friendly slopes to get to grips with for first-timers. Black runs, blue runs, beer runs - there’s something for all abilities on Mayrhofen’s powdery peak district. Snowbombing has truly redefined winter sports holidays and shown what the ultimate alpine music festival looks and sounds like. With an array of further announcements, names and plans to be revealed over the coming months, this is just the beginning for the 20th Anniversary celebration the mountains have been waiting for. In alphabetical order: Barry Ashworth, Ben Sterling, Camelphat, Emerald, Fabio & Grooverider, Flava D, Fleetmac Wood, Floyd Lavine, George FitzGerald, High Contrast, Horse Meat Disco, Jaguar Skills, Kristin Velvet, Mall Grab, Moxie, and Sub Focus. Snowbombing residents - Anna Wall, Apexape, Bedlam, Boots & Kats, Concrete Music, DJ Ardi, Daddy Nature, Harriet Jaxxon, Future Flex, Jamie Roy, L&F Projekt, Nicola Bear, North Base, Marc Roberts, Mixmag Allstars, Muzik, Pro-ject, Reasons, Uncle Dugs, Watergate, and 1996.